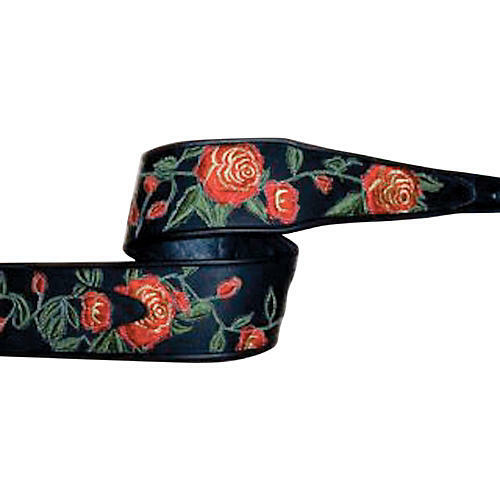 Handcrafted in Jodi Head's shop in New York City, this Stella Rose 3"-wide strap has arose-motif embroidered appliques arranged and sewn on. Edged with black binding. Leather adjustable tail extends to 55" in length.